im cnc router manufacturer : How to check the quality of the CNC Router? How to check the quality of the CNC Router? Low degree of specialization of computer CNC Router for the operator to design the no unforeseen circumstances a ideal processing mode, processing process, if there is such a premise, the CNC Router work is no problem, but in fact in a long time in the batch processing not meaning is not exist, work at this time to "smoothly". Main performance: tool adjustment is difficult to accurately positioning and is difficult to repair processing problems which may cause: cutting tool depth positioning accuracy is low, influence precision of the finished product, the scene was unable to repair must be processed repeatedly reduce the processing efficiency. "Comfortable" is the most direct method of mechanical CNC Router ability. 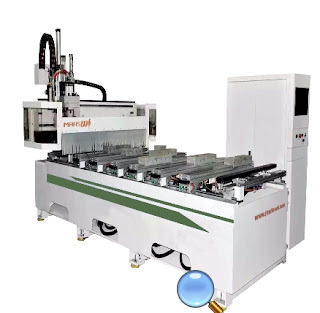 With the popularity of computer CNC Router in the advertising industry, computer CNC Router is no longer just a symbol of strength, it has become a real batch of professional production tools. Typical applications of computer CNC Router in the advertising sign industry: chest card processing, cutting the word crystal, three-dimensional carving characters, making sand table components, processing Lightbox assembly, processing of organic products and carved reliefs of words and patterns. The main features of the above applications are: finished product requirements, processing area is small, processing can only use a small tool. The use of small tools to produce a higher production efficiency, which requires equipment capacity and processing technology must have professional characteristics. Must be mass produced. No batch is difficult to produce a better scale efficiency. The operators with actual production experience are clear: do a live easy, but it is difficult to have an accident, into a lot of work, it is difficult to. This is to test whether the tool is used comfortably, making it easy to". Professional CNC Router is the most prominent feature: professional engraving CAD/CAM software and CNC CNC Router for professional, close matching. In batch processing using professional CNC CNC Router, engraving software professional can ensure the operator shunshundangdang to prepare the generation design, reasonable and efficient processing procedures: when clamping the materials, adjusting tool began to work, the operator only need to timing "listen to the tool cutting sound" to determine whether the cutting tool wear, replace if necessary tool, basically can not be accounted for people; when the processing is completed, if it is found that some of the processing effect does not meet the requirements operator on the machine using repair function at the scene a slight recovery, a number of live so fluently completed the. Comfortable to work this way!